Heat oven to 375°F. 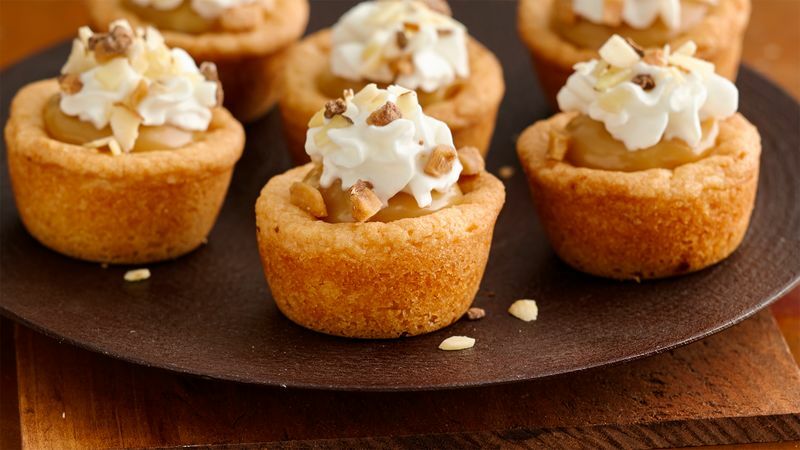 Spray 48 nonstick mini muffin cups with Crisco® Original No-Stick Cooking Spray. 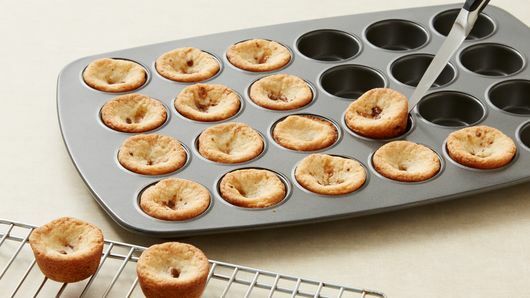 Place 1 cookie dough round in each muffin cup. 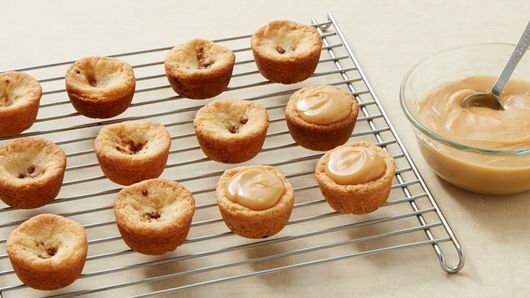 Sprinkle 2 tablespoons of the toffee bits evenly over cookie dough rounds. Bake 13 to 18 minutes or until light golden brown. Cool in pan 15 minutes. Loosen with tip of knife; carefully remove from pan to cooling rack. Cool completely, about 15 minutes. Meanwhile, in 1-quart heavy saucepan, heat sweetened condensed milk and almond butter over medium heat 5 to 6 minutes, stirring constantly, until mixture begins to bubble. Remove from heat; stir in vanilla. Cool 2 minutes. Spoon 1 heaping teaspoon condensed milk mixture into each cookie cup. In small bowl, mix remaining 2 tablespoons toffee bits and the almonds. 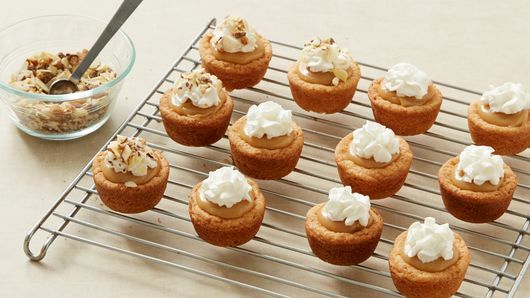 To serve, top each cup with about 1 tablespoon whipped cream topping and about 1/4 teaspoon almond mixture.